Mesopotamia was never a single, unified civilization, not even under the Akkadian Empire of Sargon the Great. 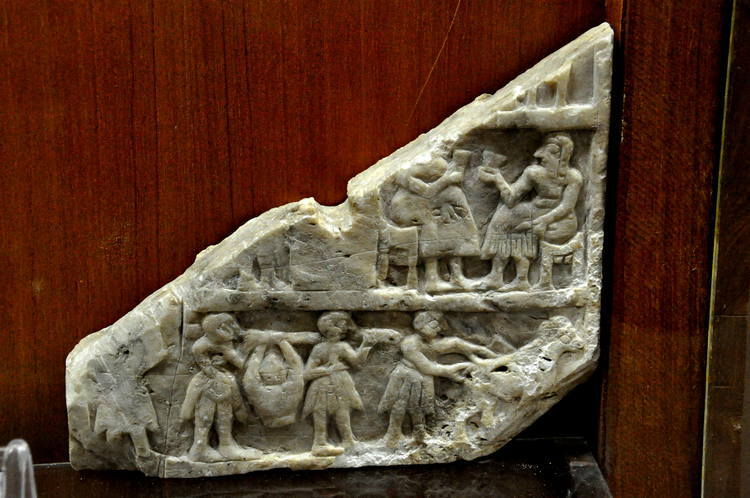 Daily life in ancient Mesopotamia cannot be described in the same way one would describe life in ancient Rome or Greece. Mesopotamia was never a single, unified civilization, not even under the Akkadian Empire of Sargon the Great. Generally speaking, though, from the rise of the cities in c. 4500 BCE to the downfall of Sumer in 1750 BCE, the people of the regions of Mesopotamia did live their lives in similar ways. 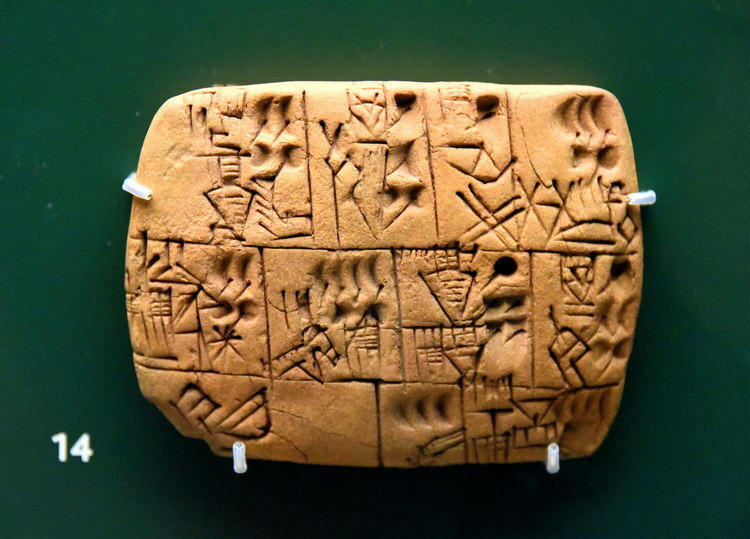 The civilizations of Mesopotamia placed a great value on the written word. 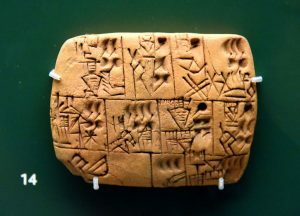 Once writing was invented, c. 3500-3000 BCE, the scribes seem almost obsessed with recording every facet of their cities lives and, because of this, archaeologists and scholars in the present day have a fairly clear understanding of how the people lived and worked. The American author Thornton Wilder once wrote, “Babylon once had two million people in it, and all we know about `em is the names of the kings and some copies of wheat contracts and the sales of slaves” (Our Town). Wilder was writing fiction, of course, not history, and there was much about Mesopotamian history still unknown at the time he wrote his play; still he was wrong about what the modern world, even the world of his day, knew about the people of Mesopotamia. We actually know a good deal more than just the names of kings and the sales of slaves. 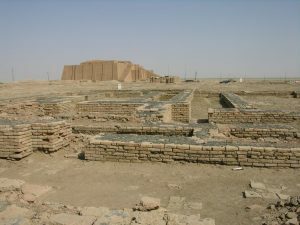 The population of ancient Mesopotamian cities varied greatly. In c. 2300 BCE Uruk had a population of 50,000 while Mari, to the north, had 10,000 and Akkad 36,000 (Modelski, 6). The populations of these cities were divided into social classes which, like societies in every civilization throughout history, were hierarchical. These classes were: The King and Nobility, The Priests and Priestesses, The Upper Class, the Lower Class, and The Slaves. The king of a city, region, or empire was thought to have a special relationship with the gods and to be an intermediary between the world of the divine and the earthly realm. The depth of a king’s relationship with his gods, and the god’s pleasure with his rule, was gauged by the success of the territory he ruled over. A great king would enlarge his kingdom and make the land prosperous and, by doing so, show that the gods favored him. Although many of the regions of Mesopotamia rebelled repeatedly against the rule of Sargon of Akkad (2334-2279 BCE) and the dynasty he founded, he still became a legendary figure because of his successful military conquests and the expanse of his empire. These accomplishments would have meant that, however an individual human being or community felt about Sargon’s rule, he was favored by the gods he served (in his case, Inanna). The priests and priestesses presided over the sacred aspects of daily life and officiated at religious services. They were literate and considered adept at interpreting signs and omens. They also served as healers. The first doctors and dentists of Mesopotamia were priestesses who attended to people in the outer court of the temple. Among the most famous priestesses was Enheduanna (2285-2250 BCE), daughter of Sargon of Akkad, who served as High Priestess at Ur and is also the world’s first author known by name. Enheduanna would not have served as a healer; her day would have been spent in taking care of the business of the temple and that of the surrounding complex, as well as officiating at ceremonies. The upper class included merchants who owned their own companies, scribes, private tutors, and, in time, high-ranking military men. Other occupations of the upper class were accountants, architects, astrologers (who were usually priests), and shipwrights. The merchant who owned his own company, and did not need to travel, was a man of leisure who could enjoy the best beer in the city in the company of his friends while attended by slaves. Scribes were highly respected and served at court, in the temple, and in the schools. Every teacher was a scribe, and one of the most important disciplines taught in every Mesopotamian school was writing. Only boys attended school. While women did enjoy almost equal rights, they were still not considered intelligent enough to be able to master literacy. This paradigm remained in place even after the notable career of Enheduanna. Private tutors were also held in high regard and were paid well by the wealthy families of the cities to help their sons excel at their school work. Private tutors not in the employ of a school (which was often run by the temple) were considered men of exceptional intelligence, virtue, and character. They devoted themselves completely to the student, or students, under their tutelage and, if they had a client of high means, lived almost as well as he did. The lower class was made up of those occupations which kept the city or region actually operating: farmers, artists, musicians, construction workers, canal builders, bakers, basket makers, butchers, fishermen, cup bearers, brick makers, brewers, tavern owners, prostitutes, metallurgists, carpenters, perfume makers, potters, jewelry makers, goldsmiths, cart and, later, chariot drivers, soldiers, sailors, and merchants who worked for another man’s company. Of those listed above, prostitutes, perfume makers, jewelry makers, and goldsmiths could also be considered upper class professions under the right circumstances (such as exceptional skill or finding favor in a wealthy patron or the king). Any member of the lower class could, however, climb the social ladder. The Assyriologist Jean Bottero notes that, “the town of Kish was ruled not by a king but by an energetic queen called Ku-baba, a former tavern keeper, about whom we know nothing else” (125). For the most part, women were relegated to the lower class jobs but, clearly, could hold the same esteemed positions as males. Women were the first brewers and tavern keepers and also the first doctors and dentists in ancient Mesopotamia before those occupations proved lucrative and were taken over by men. The lowest social order was the slaves. One could become a slave in a number of ways: being captured in war, selling oneself into slavery to pay off a debt, being sold as punishment for a crime, being kidnapped and sold into slavery in another region, or being sold by a family member to relieve a debt. Slaves had no single ethnicity nor were they solely employed for manual labor. Slaves kept house, managed large estates, tutored young children, tended horses, served as accountants and skilled jewelry makers, and could be employed in whatever capacity their master saw they had a talent in. A slave who worked diligently for his or her master could eventually buy their freedom. To build a simple house, tall marsh plants would be uprooted, gathered together, and tied into tight bundles. After holes were dug in the ground, the bundles of reeds would be inserted, one bundle per hole. After the holes were filled in and firmly packed, pairs of bundles that faced each other would be bent over and tied together at the top, forming an archway. The remaining bundles would then be joined together in similar fashion…Reed mats would then be draped over the top to cover the roof, or hung from a wall opening to make a door (285). Clay from the riverbanks would be mixed with straw for reinforcement and packed into small brick-shaped wooden molds, which would then be lifted off so the mud bricks could dry on the ground in the hot sun…Sun-dried brick was notoriously impermanent, especially as a consequence of yearly downpours. The alternative, oven-baked brick, was expensive, however, because of the fuel and skilled labor required for its manufacture. As a result, it tended to be used for the houses of kings and gods rather than the homes of ordinary people. (285-286). Light in the home was provided by small lamps fueled by sesame seed oil and sometimes by windows (in more expensive homes). Windows were constructed of wooden grill work and, as wood was a rare commodity, windowed homes were uncommon. The exterior of brick homes was whitewashed (“a further defense against the radiant heat”, as Bertman notes) and “there would be only one exterior door, its frame painted bright red to keep out evil spirits” (286). 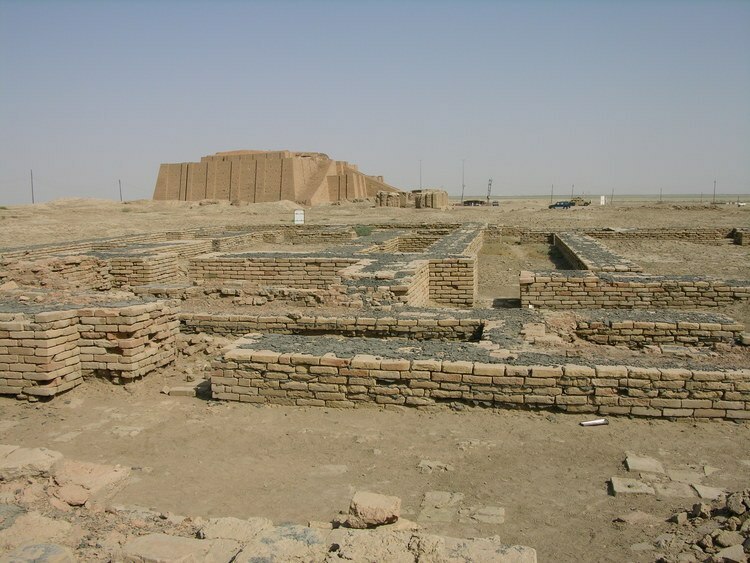 The historian Karen Rhea Nemet-Nejat notes that, “the purpose of a house in southern Iraq was to provide shelter from the twelve hours of unrelenting heat – the climate from May to September” (121). After September came the rainy season of cooler weather when homes would be heated by burning palm fronds or palm wood. Ancient houses, particularly those made of sun dried brick, often collapsed. The Laws of Hammurabi devoted five sections to this problem, noting in particular the builder’s responsibility: `If a builder constructs a house for a man, but does not make his work sound, and the house that he constructs collapses and causes the death of the householder, that builder shall be killed. If it should cause the death of a son of the householder, they shall kill a son of that builder’ (121). Homes were furnished in much the same way they are today with chairs (which had legs, backs, and, in wealthier homes, arms), tables, beds, and kitchen ware. In affluent homes, beds were made from a wooden frame, crisscrossed with rope or reeds, covered by a mattress stuffed with wool or goat hair, and had linen sheets. These beds were often intricately carved and, by the third millennium, were sometimes “overlaid with gold, silver, or copper” and “had legs that often terminated with an ox foot or claw” (Nemet-Nejet, 125). The lower classes, of course, could not afford such luxury and slept on mats of woven straw or reeds which were laid on the floor. Tables were constructed in the same way they still are today (the more prosperous homes had linen tablecloths and napkins), and families gathered at the table for the evening meal in the same way many still do presently. For infants and toddlers there were terra-cotta rattles, filled with pellets and pinched at the edges like piecrust, with a small hole for a string. For boys, dreaming of hunting or soldiering, there were slingshots and little bows and arrows and boomerangs to throw. For girls, hoping to raise their own children someday, there were dolls and miniature pieces of furniture (tables, stools, and beds) for playing house. Meanwhile, handheld ships and chariots, and tiny draught animals and wagons, let the young travel through the world of their imagination. For more amusement there were also balls and hoops and a game of jump rope named curiously for the love goddess Ishtar (298-299). Families also enjoyed board games (the most popular being much like the game of Parcheesi) and games of dice. Images depict families at leisure in much the same way family photographs do today. Sports seem to primarily have involved males, and the most popular were wrestling and boxing among the lower classes and hunting among the nobility. The family meal, as noted, was similar to that in the present day with the major difference being the forms of entertainment during and after the dinner. Storytelling was an important aspect of an evening meal as was music. In poorer homes, a family member would play an instrument or sing, or tell a story, after dinner; the wealthy had slaves for this purpose or professional entertainers. These people played instruments familiar to anyone in the modern day. The Mesopotamians had singers, of course, and also percussion (drums, bells, castinets, sistrums, and rattles), wind instruments (recorders, flutes, horns, and panpipes), and stringed instruments (the lyre and the harp). Images throughout Mesopotamia attest to the people’s great love of music and Bertman writes, “So great, in fact, was a queen of Ur’s love of music, she could not bear the thought of being in the afterworld without it; so, with the help of a sleeping potion in the tomb, she took her royal musicians with her into the beyond” (295). 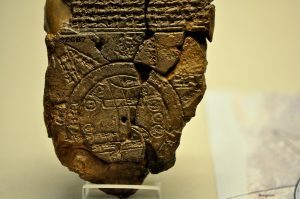 Inscriptions and images also depict Mesopotamians listening to music while drinking beer or reading or relaxing in their home or garden. Bertman notes that “music was an integral part of ancient Mesopotamian life. The images on inlaid plaques, carved seal-stones, and sculpted reliefs transport us back to a world of sound. We watch a shepherd playing his flute as his dog sits and attentively listens” (294). Music was also, at least for the wealthier citizens, an integral part of the banquet and even private meals. The chief grain crop in Mesopotamia was barley, and so it is no wonder that they were the first to invent beer. The goddess of beer was Ninkasi whose famous hymn from c. 1800 BCE is also the world’s oldest beer recipe. Beer is thought to have originated from fermented barley bread. The Mesopotamians also enjoyed a diet of fruits and vegetables (apples, cherries, figs, melons, apricots, pears, plums, and dates as well as lettuce, cucumbers, carrots, beans, peas, beets, cabbage, and turnips) as well as fish from the streams and rivers, and livestock from their pens (mostly goats, pigs, and sheep, since cows were expensive to keep and were too precious to be slaughtered for beef). They would have augmented this diet through hunting game such as deer and gazelle and birds. The people also kept domesticated geese and ducks for eggs. 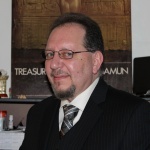 The historian Jean Bottero notes that the Mesopotamians had “an impressive inventory of goods” which made up their daily meals and flavored their food with oils and mineral products (sesame oil and salt, for example) and further notes that “all these indigenous ingredients were so varied that, as far as we know, the Mesopotamians never imported from abroad, so to speak, in spite of the intensity and geographical extent of their trade” (45-46). Along with beer (which was so greatly valued it was used to pay workers’ wages) the people drank strong wine or water. Beer, however, was the most popular beverage in ancient Mesopotamia and, because of its nutrients and thickness, often served as the largest part of the mid-day meal. archaeologists confirm that textiles were among the first of human inventions. Plant fibers may have been twisted, sewn, and plaited [to make clothing] as far back as the Old Stone Age, some 25,000 years ago [but] wool seems to have been Mesopotamia’s most common kind of cloth, along with linen, which was reserved for more expensive garments. Cotton wasn’t introduced until the days of the Assyrians, who imported the plant from Egypt and the Sudan around 700 BCE; and silk, perhaps not until the days of the Romans, who imported it from China (289). Men generally wore either a long robe or pleated skirts of goatskin or sheepskin, and women dressed in one-piece tunics of either wool or linen. Soldiers are distinctive in the ancient depictions in that they always wore hooded capes over their uniforms. Older men are always seen in one-piece robes which fall to their ankles, while younger men seem to have worn either the robe or the skirt. Women are always depicted wearing the robe but these robes were not uniformly mono-colored. Many different patterns and designs are seen in the dress of Mesopotamian women, while the men, except for kings and soldiers and, sometimes, scribes, are routinely seen in monotone robes. Shawls, hooded capes, and wraps were used in bad weather and these were often embroidered and tassled. Girls dressed like their mothers and boys like their father,s and everyone wore sandals of greater or more modest design. Women’s sandals, generally, were more likely to be ornamented than those of men. Women and men both wore cosmetics and, as Bertman writes, “the desire to enhance one’s natural beauty and allure through the use of cosmetics and perfume is attested as far back as Sumerian times” (291). Men and women would outline their eyes with an early form of mascara, much as the Egyptians are famous for doing, and perfumes were used by both sexes after bathing. Perfumes were made by “steeping aromatic plants in water and blending their essence with oil” (Bertman, 291), and some of these recipes became so popular that were closely guarded, since they could raise a perfume maker from a lower class worker to almost the level of nobility. The daily life of the ancient Mesopotamians was not so different from the lives of those who live in that area today. Like those of the modern world, the people of the ancient regions of Mesopotamia loved their families, worked their jobs, and enjoyed their leisure time. 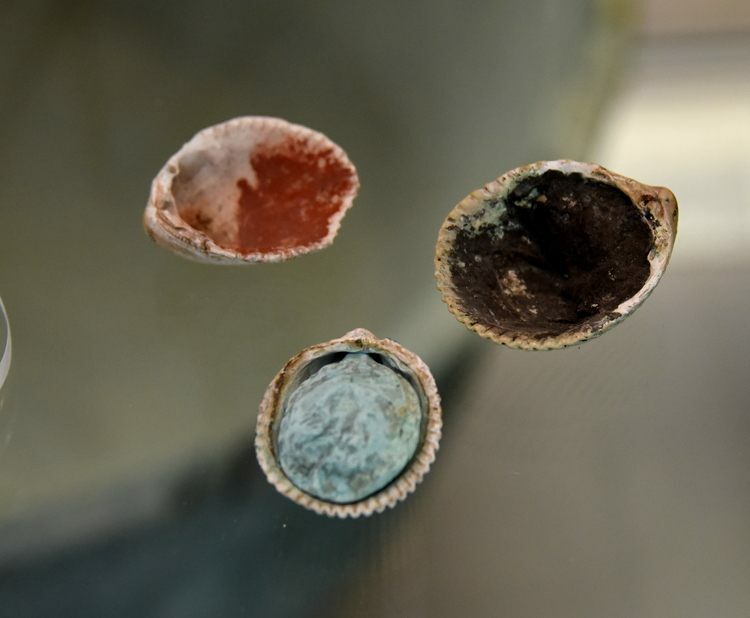 Advances in technology give one the impression today that we are much wiser and vastly different from those who lived thousands of years before us, but the archaeological records tells a different story. Human beings have never been very different, in both good and bad ways, than we are today and the basic needs and desires, as well as the daily lives, of the people of ancient Mesopotamia adhere to a pattern that is easily recognizable. Bertman, S. Handbook to Life in Ancient Mesopotamia. (Oxford University Press, 2003). Bottéro, J. Everyday Life in Ancient Mesopotamia. (Johns Hopkins University Press, 1992). Kramer, S.N. History Begins at Sumer. (University of Pennsylvania Press, 1988). Leick, G. Mesopotamia: The Invention of the City. (Penguin Books, 2002). Nemet-Nejat, K.R. Daily Life in Ancient Mesopotamia. (Greenwood, 1998). Wilder, T. Our Town. (Harper Perennial Modern Classics, 2003). This entry was posted in Ancient, History, Mesopotamia. Bookmark the permalink.